D. A. Powell was born in Albany, Georgia on May 16, 1963. He attended Sonoma State University, obtaining his bachelor's degree in 1991, and his master's in 1993. He then went on to receive his M.F.A. from the Iowa Writer’s Workshop in 1996. 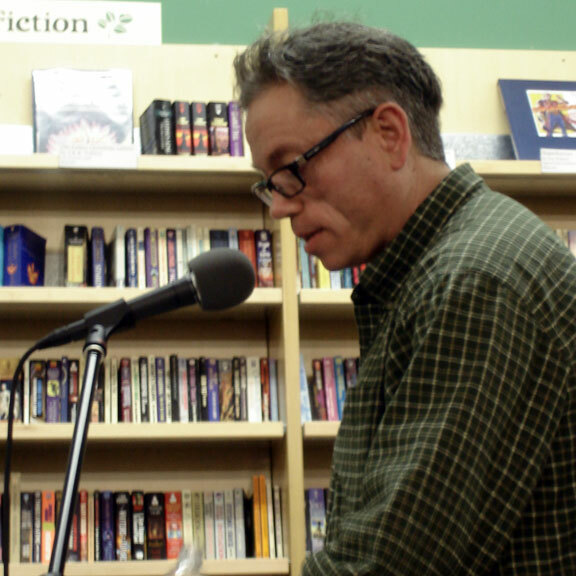 He is the author of three books of poetry, Tea (1998); Lunch (2000); and Cocktails (Graywolf, 2004), which was nominated for the National Book Critics Circle Award. Carl Phillips wrote, in his judge’s note for Boston Review’s Annual Poetry Award, of Powell’s work, "No fear, here, of heritage nor of music nor, refreshingly, of authority. Mr. Powell recognizes in the contemporary the latest manifestations of a much older tradition: namely, what it is to be human."